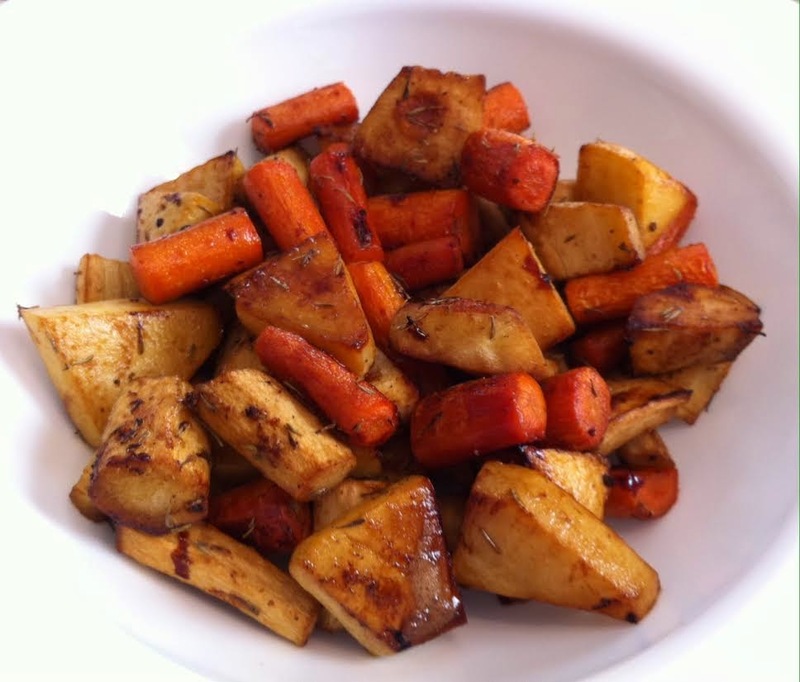 Now that you know how to make homemade Pomegranate Molasses, here's a roasted root vegetable recipe to try. It’s perfect for Thanksgiving which is approaching quickly! 2. Prepare the glaze mixture by combining the oil, honey, pomegranate molasses, water, and thyme in a small bowl. Stir until blended. **NOTE: If using pomegranate molasses containing sugar, you may reduce - or omit - the honey. 3. 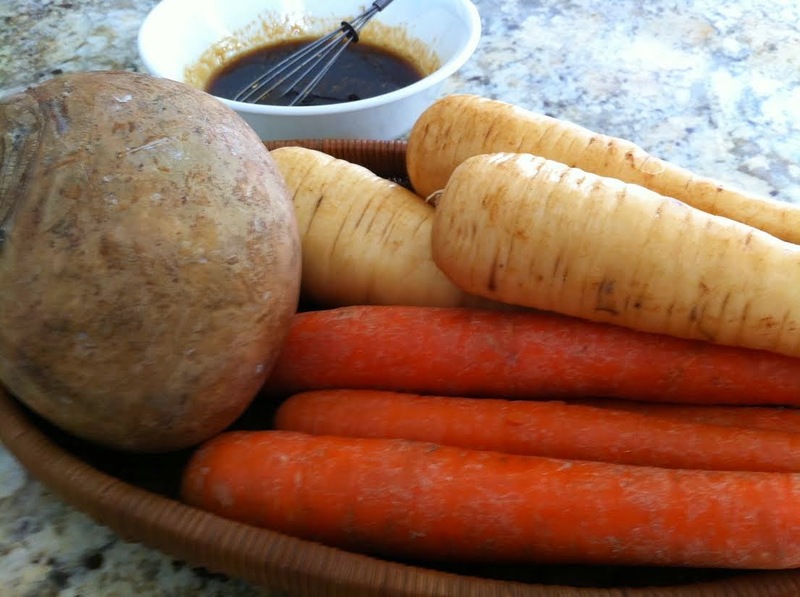 In a large mixing bowl, toss the root vegetables with the glaze mixture; season with salt and pepper, and toss again. 4. Spread the coated vegetables evenly in the baking pan. NOTE: If you don’t have a large enough pan, divide the vegetables evenly between 2 foil-lined rimmed baking pans. 5. Roast, uncovered, for 30 to 35 minutes, or until the vegetables are tender, stirring the vegetables after about 15 minutes. If desired, roast for 10 additional minutes to enhance the glaze. 6. Place vegetables in a serving bowl. Sprinkle with additional salt and pepper, if desired.